A hockey association once contacted me about doing a special classroom session for its coaches. The fellow in charge was the association’s mentor coach. He wasn’t quite sure what topic to do because there’d been so many suggestions from his coaches on what they wanted. His own view was that what they wanted wasn’t necessarily consistent with what they needed. Quite right and good for him for the approach. He offered me two choices: a teaching defenceman clinic or one on defensive team play. Since these were to be mostly house league and entry level competitive team coaches, I countered with creativity. The other topics, I suggested, were too specialized and advanced. Creativity though was something to play with. At my request, we had two sessions: one for novice, atom, pee wee coaches and then a second one for bantam and midget coaches. Both presentations opened with a statement a house contractor once told me. "It's construction,” he said. “You can do anything." 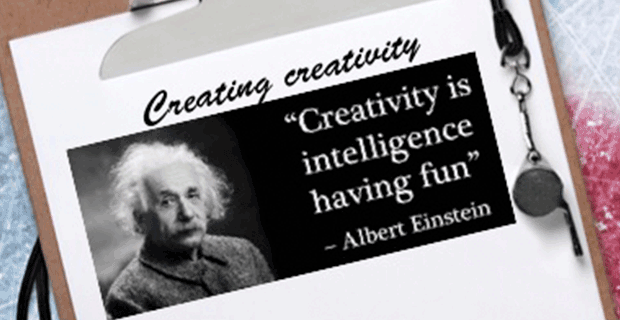 So it goes with creativity. Since children learn best through play, the time-worn habit of drilling them constantly stifles any chance for creativity and may actually impede learning. However, hockey is unique in that you absolutely must be able to skate to play. It’s an action foreign to the human body, unlike running. They need to first be able to skate, or at the very least, sort of manoeuvre on skates. It was from that foundation coaches could build creativity into practices. Doing what? How? The challenge for these coaches began with their own brains. They were locked into the drill mode. Never mind drills, I said. What’s fun? Let’s look at puckhandling as an example. Do we really need to direct them through pylon courses? Or would it be more interesting (creative) to ask the kids to choose, for instance, five pylons to go around - in five different ways. To illustrate, I drew 10 Xs scattered inside an end zone. Each kid has a puck and finds a place to stand on the blueline. They need to choose five pylons and go around each with the puck. They can go backwards or forwards, with or without crossovers, perhaps using sharp turns, and handling the puck in any fashion. However they can’t go around any two pylon the same way. When done they return to the blueline. I asked the coaches what skills were required. They answered correctly: skating, agility, decision-making, heads up skating, puck protection, quickness, puck control, and, of course, creativity. One fellow, a pee wee coach, asked: What were they learning? Let’s tackle that answer next week, along with other points related to the development of creativity.